5.4 million inhabitants. 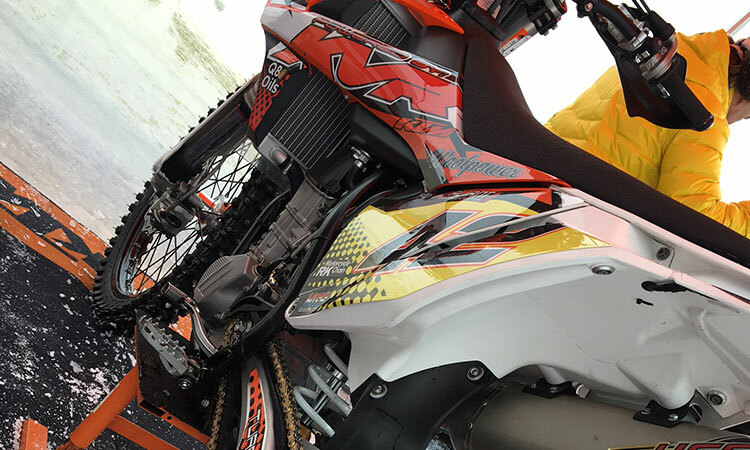 20 different motorcycle world champions in eight different disciplines, over 200 world championship solo medals. 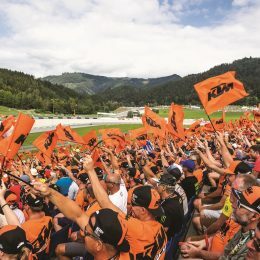 The world´s most successful country in motorcycle sport compared to the number of inhabitants. What is their secret? We travelled to Finland to find out more about this country of silent success. There are less than 3,000 people living here. Here means Konnevesi, a small village in the middle of Finland, or better yet middle of nowhere. 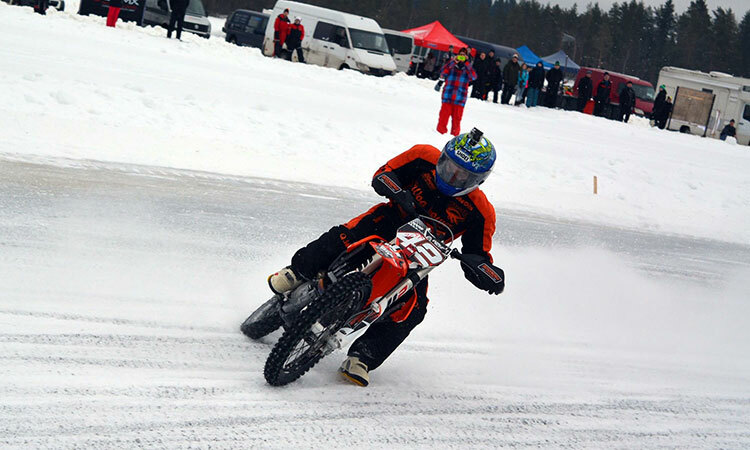 But with 181 World -, European – and Finnish Championship medals, it´s one of the most well known motorcycle villages in Finland. Actually it is so famous that some have said that the name should be changed from Konnevesi to Konevesi, which means engine water. Also water suits well over here, as there are lakes everywhere. Finland has almost 190,000 lakes. 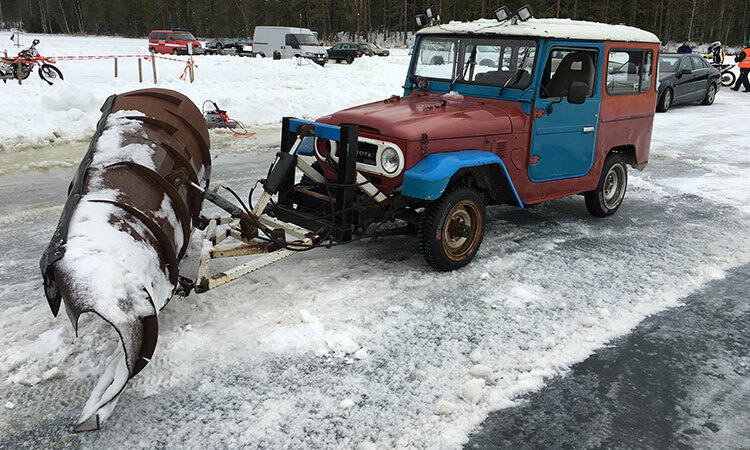 During the wintertime most of them are frozen which gives the people great opportunity to use them for example for ice racing. It´s -10 degrees which is pretty pleasant weather as it could be -20 degrees more in March in the middle of Finland. 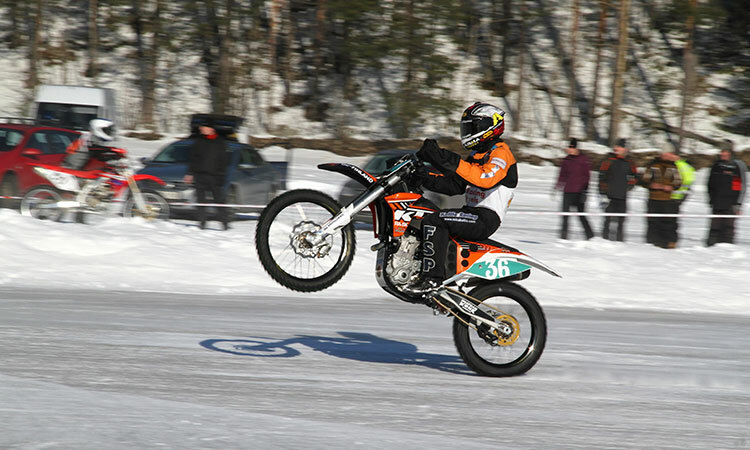 The frozen lake is full of people, cars, tractors and naturally motorcycles. 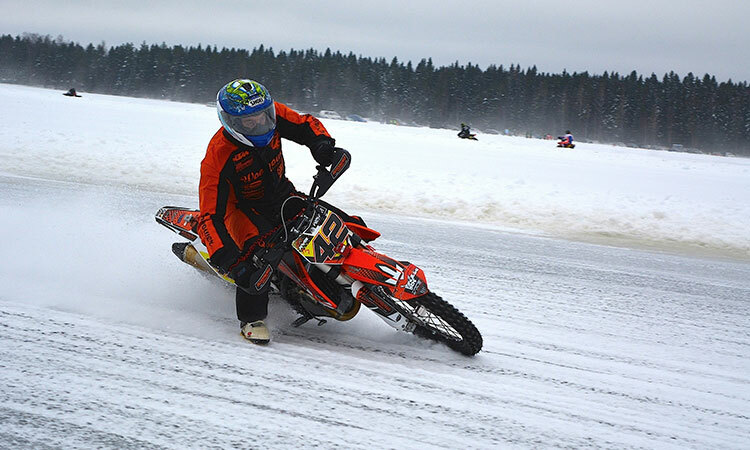 Season´s fifth ice road racing Finnish Championship race is about to start. 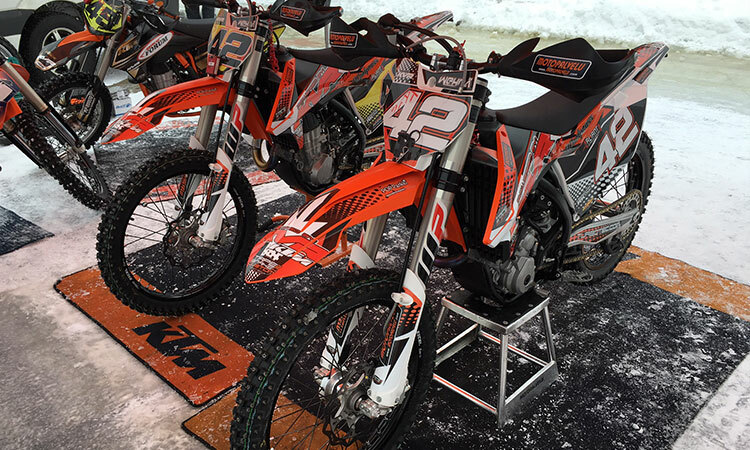 The bikes line to the start grid. Green light. Full gas. 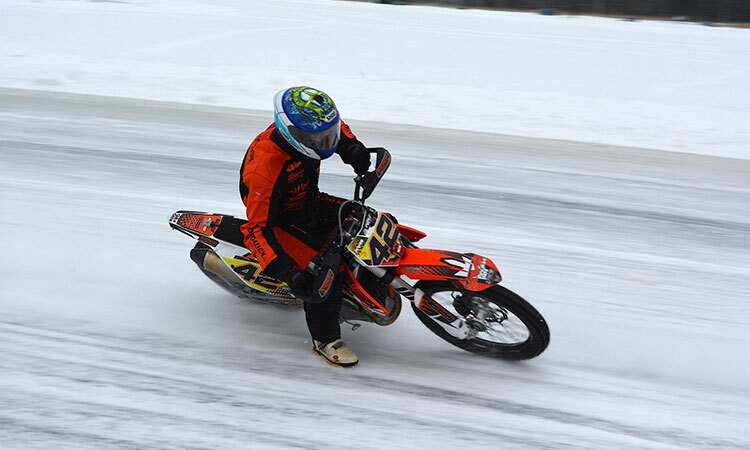 The air is full of beautiful sound of 4 and 2 strokes and thin snow dust while the spikes dig into the ice. 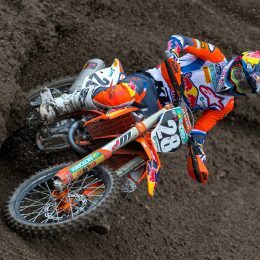 The way the riders handle their bikes on the curves is something you have to see yourself. 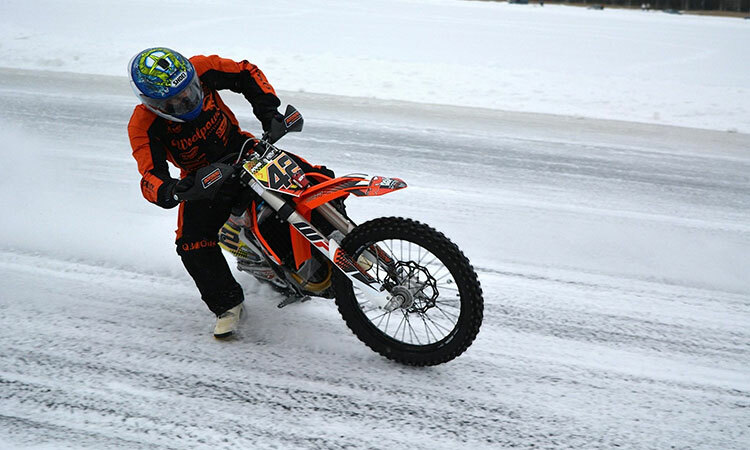 It´s pure talent while riding at the limit in these extreme conditions. Huge battles, close contacts, amazing show. 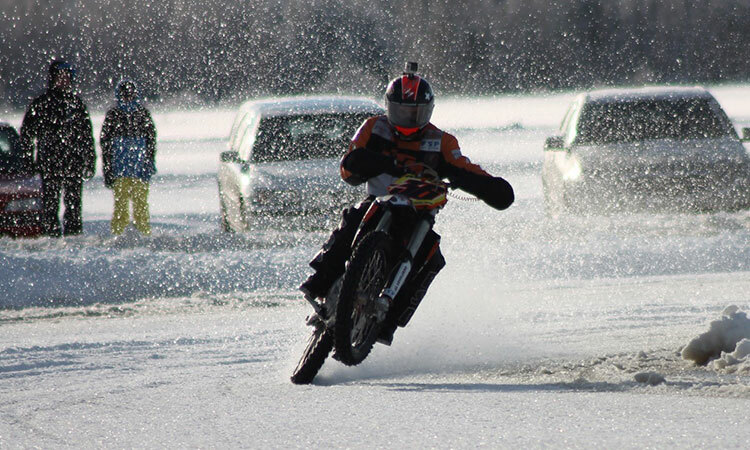 That´s what the ice road racing is at its finest. 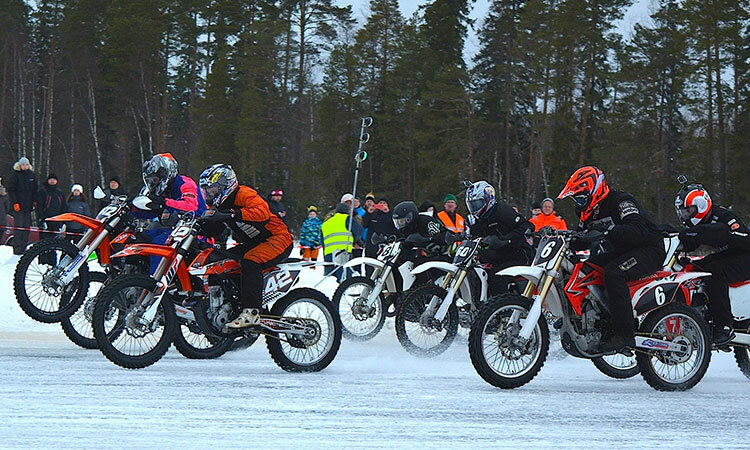 The racers at the grid include the best ice road racing riders of Finland but the main character of this sport is that it brings together people from different disciplines. 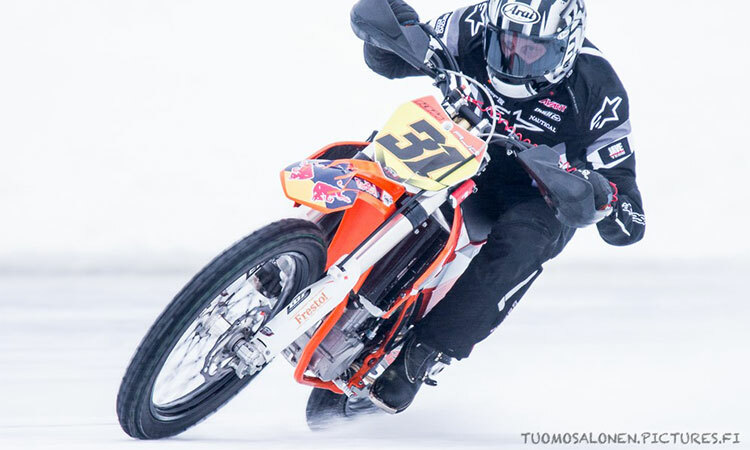 This winter at the Finnish Championship events there have been big names such as MotoGP test rider Mika Kallio, KTM Ajo Motorsport´s team manager Aki Ajo, last year´s Moto3 rider Niklas Ajo, Superbike IDM racer Tatu Lauslehto and Pekka Päivärinta and Kirsi Kainulainen who got world championship bronze last year in road racing side car. So why for example Mika Kallio took a flight directly from the Jerez test to Finland instead of going to his home in Monaco? 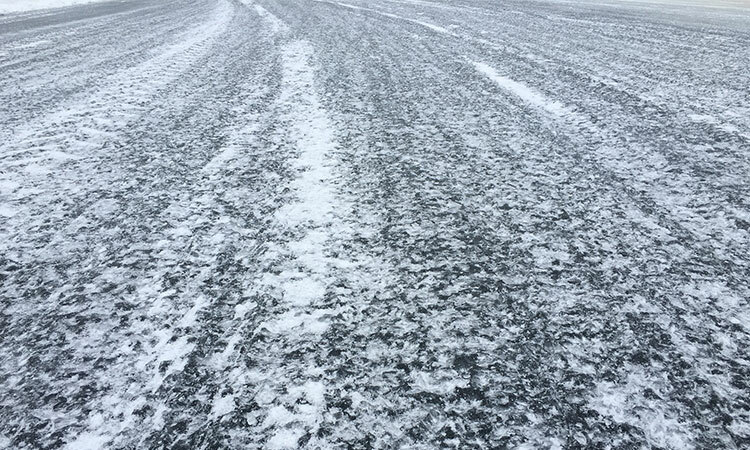 For years Finns have gained clear benefit from the ice. Already Road Racing World Champion 1972 Jarno Saarinen started his success story from ice. 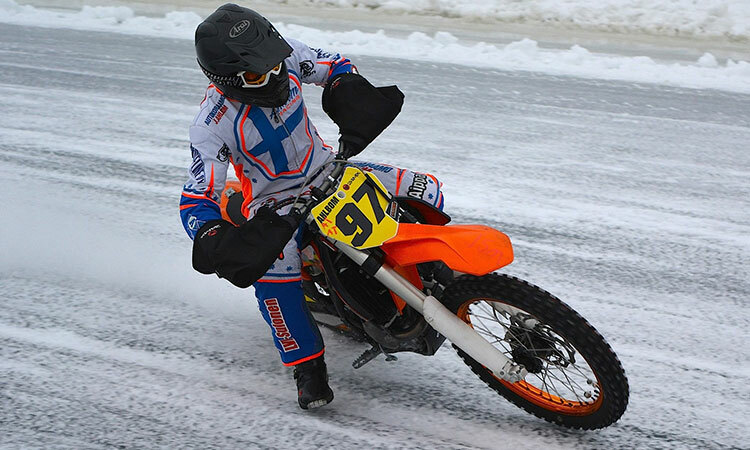 Finns have been experts in handling the bike in different disciplines and different conditions. 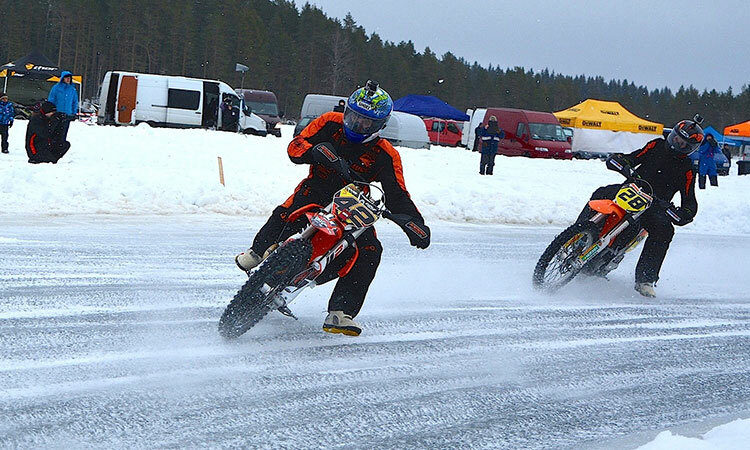 Especially at wet races they have often clear benefit which comes from practicing on ice. 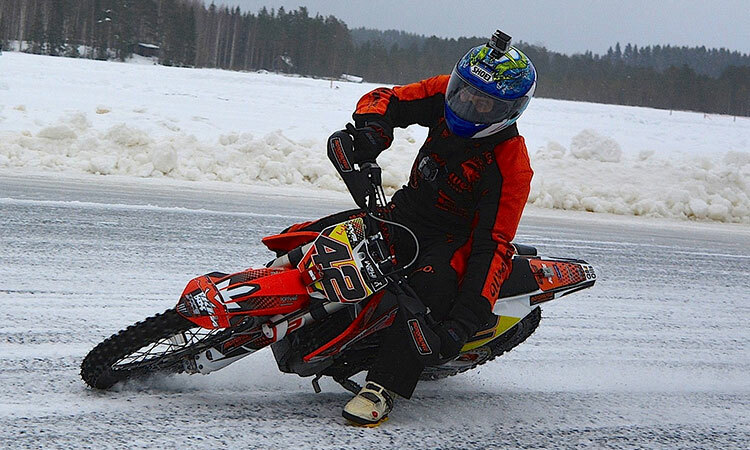 This is something also Aki Ajo knows and he often brings his foreign riders to practice in Finland. 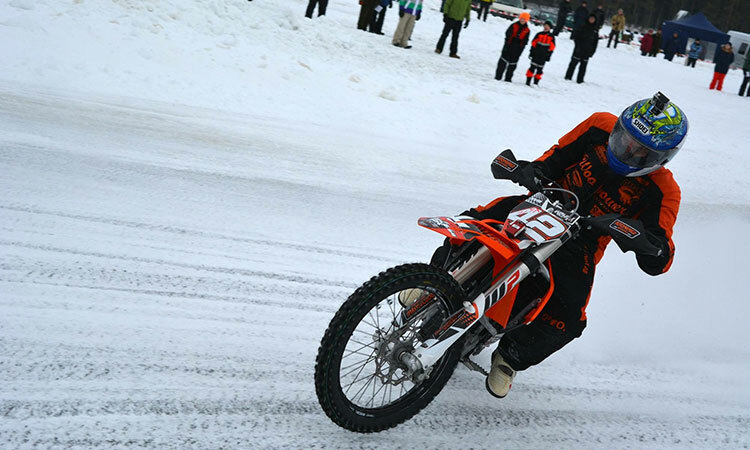 After the season Vehniäinen achieved his 25th Finnish Championship. Not bad for a 40-year old who during the summer continues his success story at road racing events. 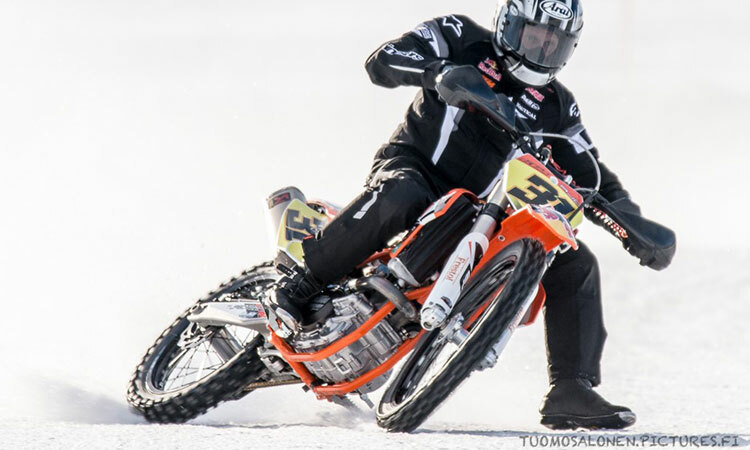 Vehniäinen has dominated the scene for decades but at the paddock he is like anyone else. Not special treatment, no arrogance. He is always willing to help his rivals. This seems to be a typical feature of these people. After so many success stories the Finns are not famous of bragging themselves. They work hard and rather let actions to speak for themselves. It seems that these Nordic people really are as silent as their success. Or could their success be because of “Sisu”, that means – like half Finn Nico Rosberg, son of F1 world champion Keke Rosberg, stated after winning the Bahrain GP: “Sisu is the Finnish fighting spirit”. 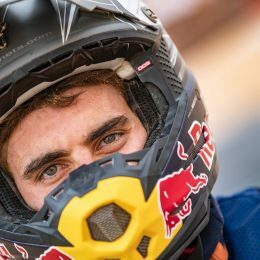 These people are easy going, almost shy when walking at the paddock, but when the helmet is on, their character changes completely. 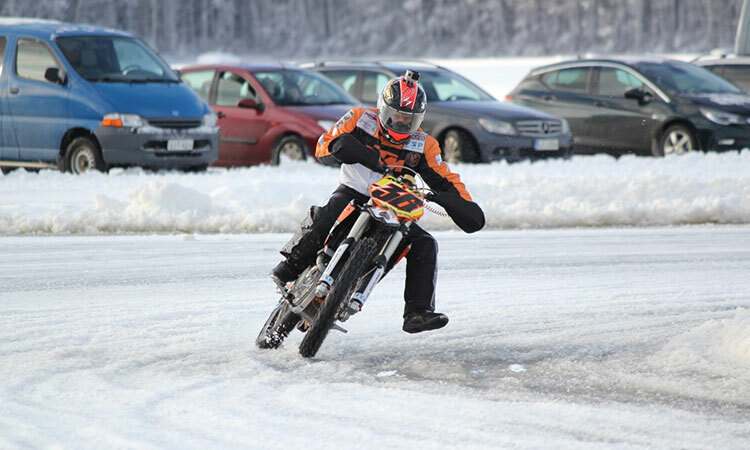 Speaking of F1-drivers, it´s not only the motorcycle riders who learn from ice practice. 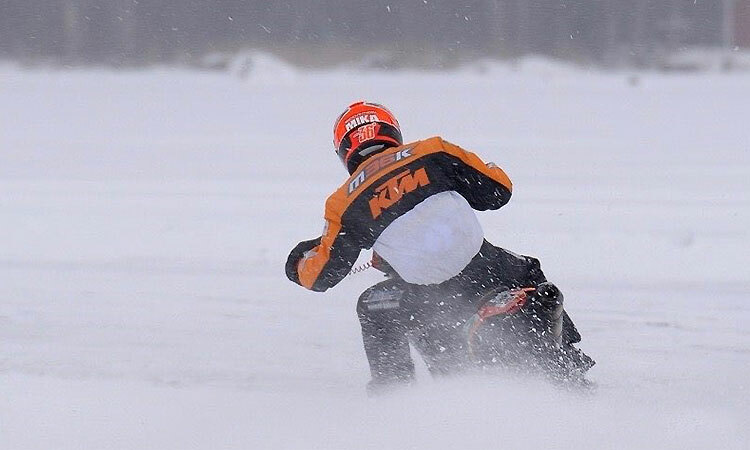 Finnish rally and Formula 1 champions all enjoy driving on frozen lakes. One has to think how such a small country from north is able to provide year after year names like Kimi Räikkönen, Mika Häkkinen, Valtteri Bottas, Tommi Mäkinen, Juha Kankkunen, Ari Vatanen, Jari-Matti Latvala, Mika Kallio, Jarno Saarinen, Heikki Mikkola, Kari Tiainen, Mika Ahola, Juha Salminen, Eero Remes and so on. It would simply be senseless to underestimate the power of ice practice, their hidden secret that makes them so beatable. Nice story and very true factsas well of the Finns. As the Finnish phrase in motorsport says; if you like to win thrust the Finns, or shortly; if no Finns, no wins!